Few writers have ever experienced such a steady rise in their reputation and public profile as Swiss writer Robert Walser (1878–1956) has seen in recent years. As more of his previously little known work has been translated into English, readers have discovered a unique writer whose off-kilter sensibility and innovations in form are perfectly suited to our fragmented, distracted, bewildered era. 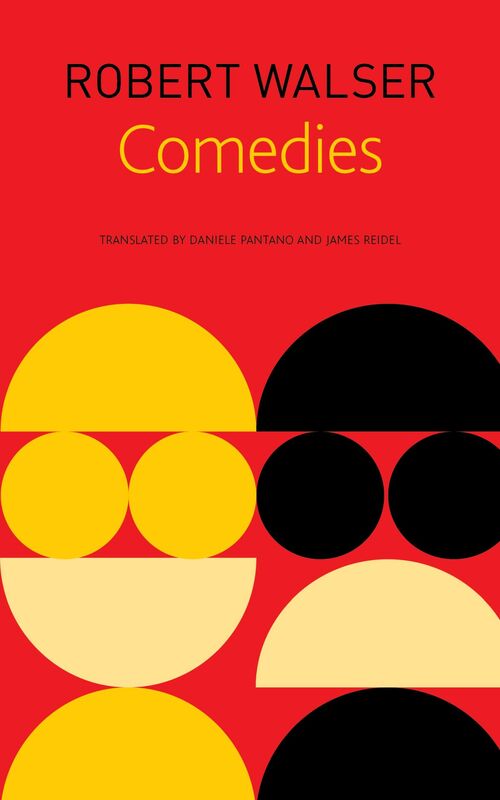 This book brings English-language readers work by Walser in yet another form: dramolette. The short plays presented here, inspired by the German theater Walser enjoyed in his youth, while never meant to be performed, present scenes, characters, and situations that comment on the brutality of fairy tales, the impossibilities of love, the dark fate of the Christ child (and Walser himself), and more. At the same time, like all of Walser’s work they are shot through with a humor that is wholly genuine despite its shades of darkness. Gathering all of Walser’s plays, as well as his later, fragmentary dramatic writings, Comedies will be celebrated by the many devoted fans of this lately rediscovered master.